I haven’t had a lot of time for free reading this month. That is to say I’ve done quite a bit of reading, but almost exclusively for my ECE degree. I say almost exclusively because not reading road signs makes driving a whole lot harder. 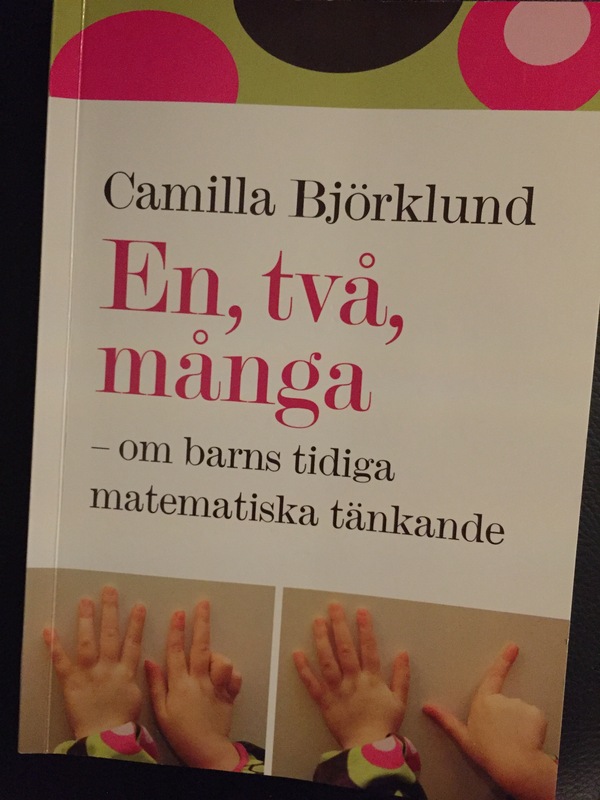 This book, En, två, många (which translates to One, Two, Many) has all the information you might want regarding mathematics in the early years of life. Of course, in Swedish. Side bar: only the first letter of books are capitalized in Swedish. I may have mentioned this before on the blog, but it really baffles me. Every time! So I need to bring it up again now. I definitely recommend this book for any early educators, people curious about basic mathematical terms in Swedish, or just anyone looking for a good time. Categories: 30 before 30, Books, Education, Humor | Tags: book, book of the month, children, educate, en två många, jokes, learn, math, mathematics, read, small humans, Swedish, teach | Permalink. At one point I thought I’d try to read more in Swedish. Then I started my Early Childhood Education degree (in Swedish) and was buried in textbooks *written in Swedish*. Is it my own fault for wishing to read in Swedish? Maybe Probably. Regardless, this book is actually part of the course literature in my History of Children and Childhood course. (I’m basically directly translating this stuff, so I could be totally off on what it really should be called). Told from the perspective of a first generation Swedish girl with Finnish parents her journey through childhood is graphically documented and beautifully written. Susanna Alakoski really can write. The book has also been made into a movie, so you know it’s a good one. I’m not sure if it’s been translated to English, so before I can recommend you read it I should first recommend you learn Swedish. Categories: 30 before 30, Books, Humor, Life | Tags: book, book of the month, book to a movie, books, English, May, read, reading, Susanna Alakoski, svinalängorna, Swedish | Permalink.